Lively and full of flavour, Spanish cuisine is regarded as one of the world’s best – not least because it uses a wide range of spices and ingredients that come from land and sea, and is prepared with age-old techniques. 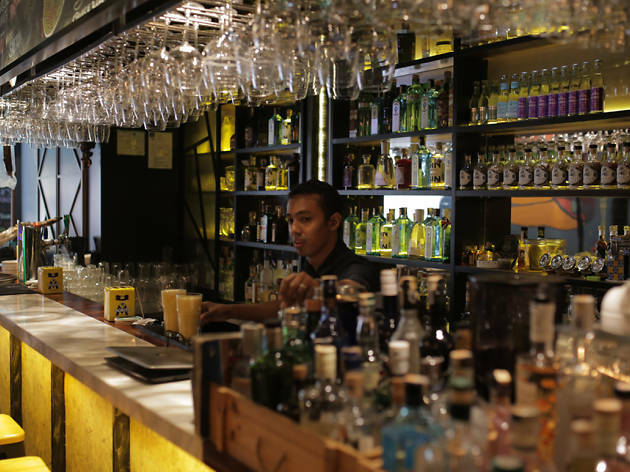 Here are just a few of our favourite Spanish restaurants in KL. 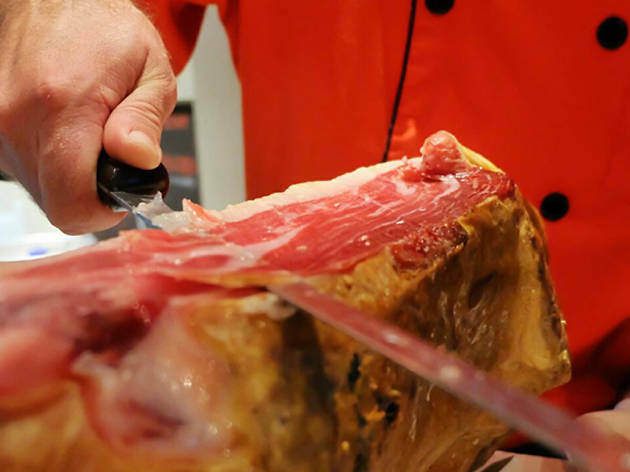 This casual Spanish restaurant in the middle of the city serves some delicious tapas and cold cuts. 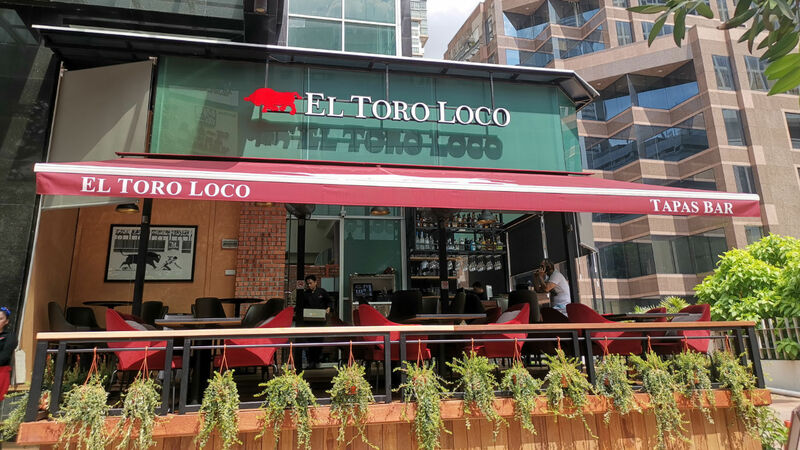 Offering both a cosy indoor space as well as alfresco seating, El Toro Loco focuses on good food done right. 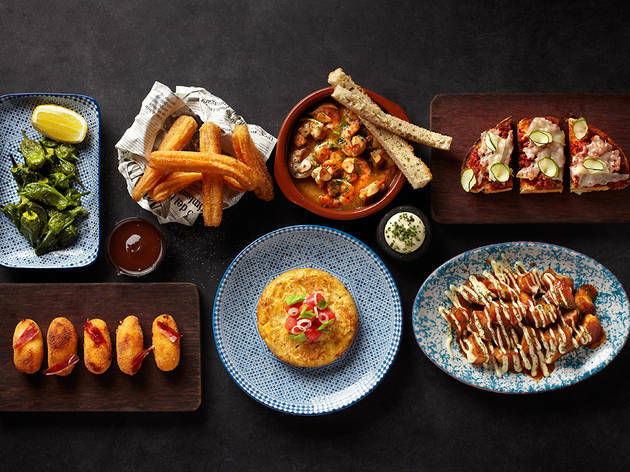 Expect to find a selection of pinchos and tapas (great to start) and hearty paella options. Pair your meal with a refreshing sangria, and you won't go wrong with any of their desserts. 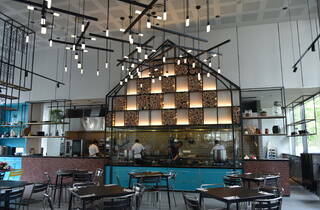 No guesses for what this swanky space in Pavilion KL specialises in. 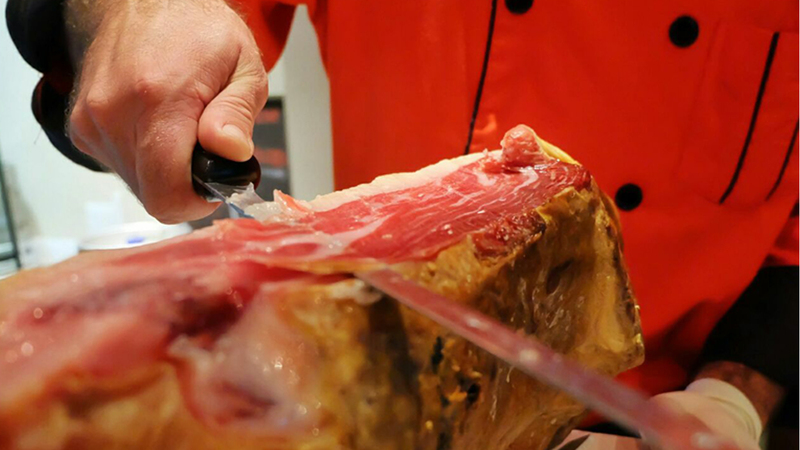 Tapas Club offers diners the classic rich flavours of Spanish cuisine in dishes made with authentic recipes and fresh produce. On the menu are paella and cold cuts, but you're here for the restaurant's namesake. 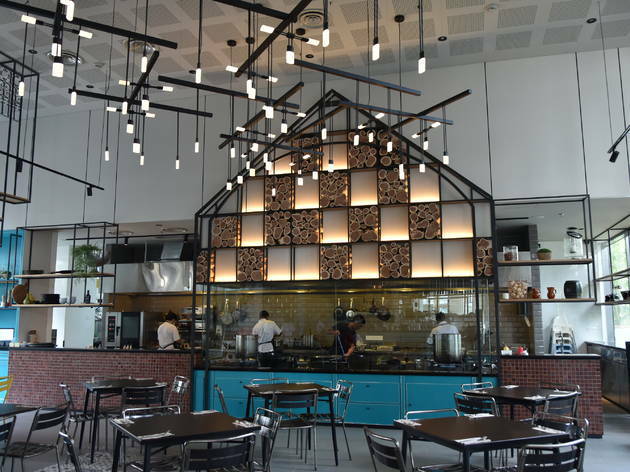 So expect to find an extensive selection and indulge in popular options like patatas bravas, iberico pork skewers, lamb meatballs, croquetas and more. Run by the vivacious Marta Alonso Garcia and her husband Finn Leijnse, Marta’s Kitchen is where you come for the real deal. You probably won’t find better paella anywhere else, and over here there are four options – the classic Valenciana (saffron-flavoured rice with a variety of meats), squid ink, ibérico pork and vegetarian. 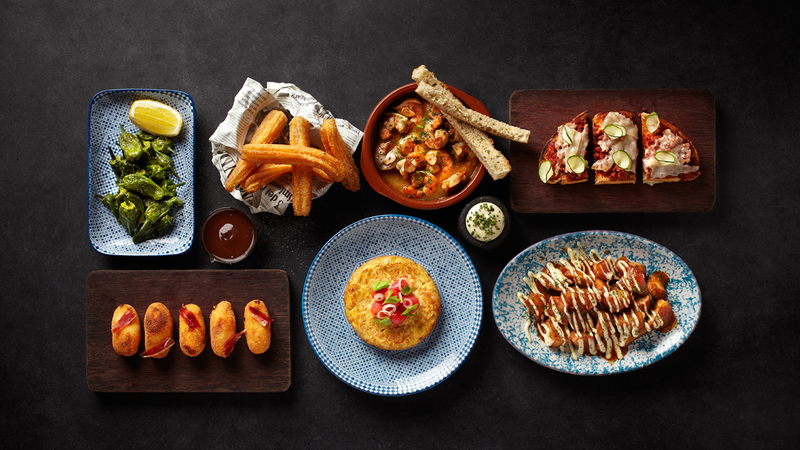 Tapas-wise, you can’t go wrong with patatas bravas (fried potatoes served with aioli), gambas al ajillo (prawns with garlic and olive oil), croquettes with either chicken and mushroom or ham, and of course, the traditional Spanish tortilla de patatas (a Spanish omelette). For those who crave a spicy hit, go for the pimientos de padrón – green peppers from Spain blistered and simply seasoned with olive oil and sea salt. 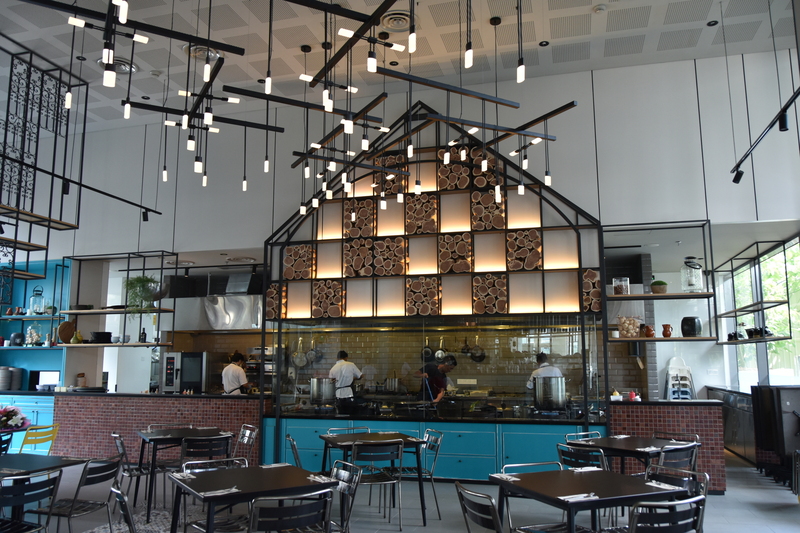 Executive Chef David Caral brings the dishes of his native Barcelona into the heart of Bangsar at this gastrobar. Start with platillos (small plates) of traditional favourites like Córdoba tomato cold cream, then move on to Spanish artisanal meats, cheese and marinated olives. When you get to the tapas go for the cuttlefish tagliatelle with pork belly, and for a more substantial meal, get the seafood paella (which is big enough to share). Wash everything down with something from their menu of beers, sangrias and Spanish red and white wine. 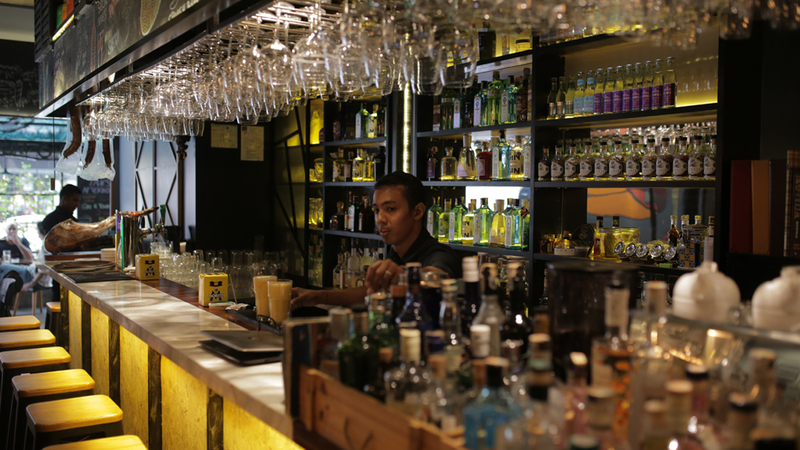 There’s also an extensive selection of Spanish-style Gin & Tonicas, which carry a potent double shot of gin and is served with a variety of herbs and fruits. El Cerdo (meaning ‘the pig’ in Spanish) was founded by German chef Werner Kuhn; but don’t let that put you off. This popular porky restaurant has stood the test of time, serving up home-cooked Spanish dishes since it was founded in 2005. 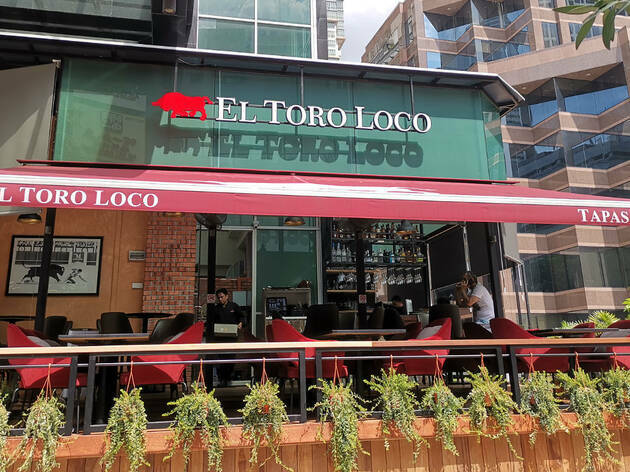 It champions the ‘nose-to-tail’ philosophy, and it’s evident in the menu where you can find everything from ibérico spare ribs to pig tail stew and pork collar steak. Their signature dish is a standout – a roasted suckling pig that’s so tender you can cut it with the edge of a plate. There are also standard Spanish favourites like paella, Spanish omelettes and more. Bonus: all the dishes are served in huge portions, so best to come in a big group. Serving up traditional Spanish fare among neon lights, El Mesón is a restaurant that balances the line between classic and modern. 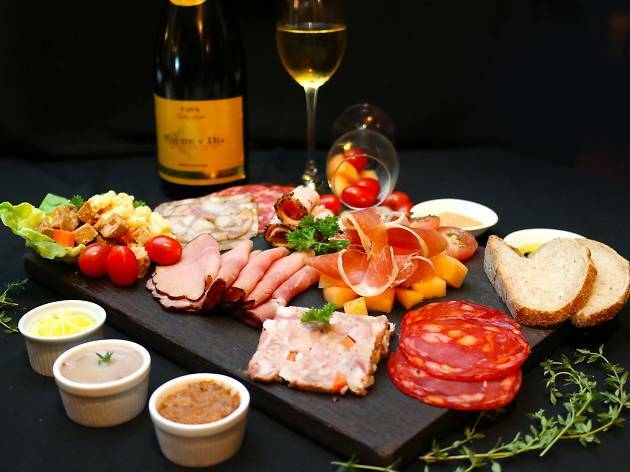 They serve up an extensive menu of tapas and paella alongside salads, pastas, hamburgers and pork knuckle. But when dining at El Mesón, you should go for the dishes that come right out of their charcoal oven – get the slow-cooked sticky short ibérico ribs and the grilled Spanish octopus. 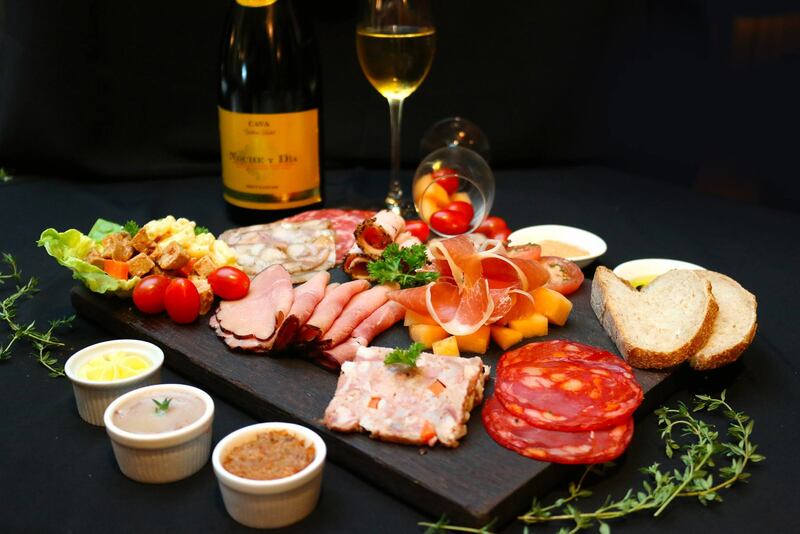 But that’s not all – El Mesón’s formidable selection of cured meats certainly holds its own among the best in KL; have their cold cut selection that includes ibérico and serrano ham, ibérico chorizo, cecina and ibérico salchichon. 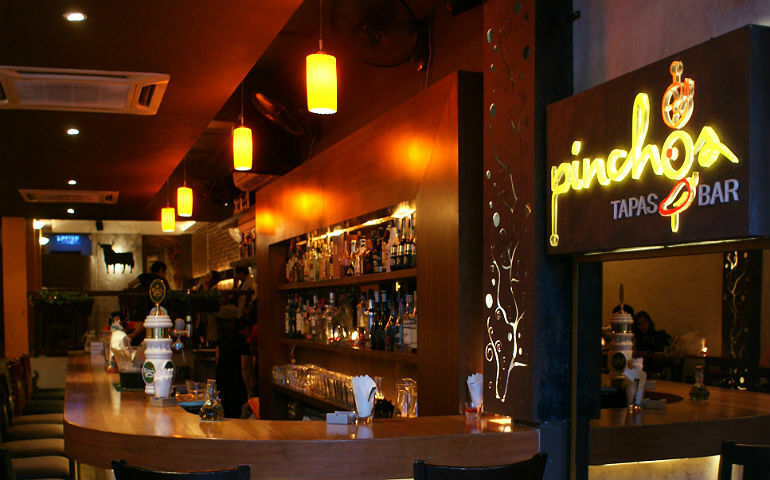 One of the earliest purveyors of Spanish cuisine before it became a trend, Pinchos Tapas Bar still delivers one of the best tapas in town thanks to its use of premium ingredients imported from Spain. Don’t skip out on the jamon ibérico de bellota (from free-range acorn munching pigs), croquetas de pescado (fish croquettes with garlic mayo) and costillas de cordero (lamb chops with olive oil and fresh herbs). 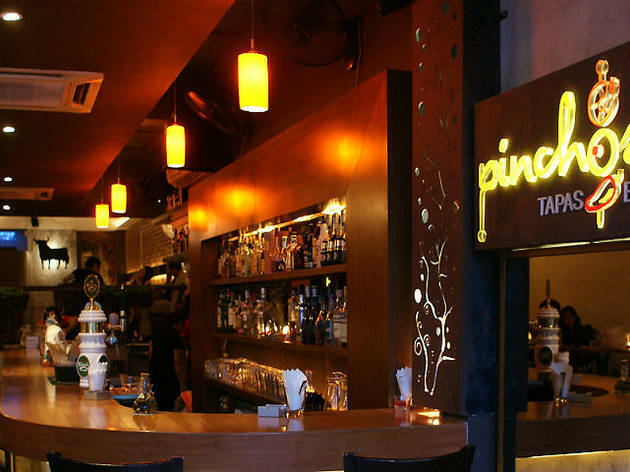 Pinchos is also known for its seasonal specials – memorable dishes that are made with fresh produce from Spain like melons, artichokes and octopus.